What are you? Some kind of doomsday machine boy? Roger Moore's tongue in cheek and quintessentially English persona took on the mantle of James Bond for the first time in 1973's Live and Let Die. At 44 Moore is the oldest actor to win the role but oddly enough he could pass for the youngest. Witness Roger whipping up an espresso coffee for M at the start of the film. He almost looks too young and boyish to be Bond! The new 007 is absent from the unusual pre-credit sequence which (after a funky 1970's gunbarrel) features a series of murders from the United Nations HQ in New York to a small Caribbean island called San Monique. All of the victims are agents attempting to find out more about the mysterious Dr. Kananga, the dictator of San Monique (played with relish by the imposing Yaphet Kotto). Cue one of Maurice Binder's best title sequences and Paul McCartney's memorable theme song. Both are a departure in style from what had come before and they work very well. In another departure our first glimpse of Bond finds him in his London flat. Woken by someone at the door he checks the time on his Pulsar P2 digital watch and we see that he is in bed with 1970's comedy crumpet Madeline Smith, here playing Italian agent Miss Caruso. Bond finds M when he opens the door and after a classic raised eye-brow moment from Roger, 007 uses his espresso machine to make his bemused boss some coffee. 007 also has a Magnetic watch (Rolex Submariner) brought to him by Miss Moneypenny from Q Branch. When switched on Bond's watch generates a powerful magnetic field strong enough to deflect a bullet. He demonstrates this by making M's teaspoon fly away from his cup. Miss Moneypenny bails 007 out by helping to divert M away from the wardrobe Miss Caruso is hiding in and Bond uses his watch's magnetic abilities to unzip Madeline Smith's dress. The new Bond is considerably lighter in tone and less physical than his predecessors but more urbane with a great sense of humour. Bond is sent to New York where the first agent was killed and where Dr Kananga is at the UN. The very 1970's music score is great fun and we hear the voice of Solitaire (Jane Seymour) as Bond's plane takes off and he arrives in New York. As soon as Bond arrives his driver is killed while taking him to meet Felix Leiter (David Hedison) in an entertaining sequence during which 007 attempts to take control of the car from the back-seat. The trail leads Bond to Mr. Big, a gangster who runs a chain of Fillet of Soul restaurants. Bond meets Solitaire, a tarot expert who has the ability to see both the future and remote events in the present. Bond follows Kananga back to San Monique with CIA agent Rosie Carver where he seduces Solitaire. 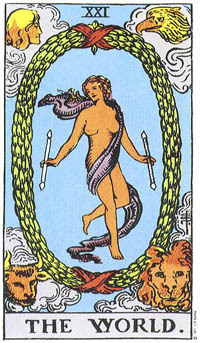 Their love had been foretold in the cards, but was rigged up by Bond, having created a deck entirely of "The Lovers" cards, which by "compelling to earthly love" takes away her power. Bond is helped by Quarrel Jr (Roy Stewart), and for those who remember, Bond had a friend in Jamaica named Quarrel, from Dr No. Rosie turns out to be a double-agent on Kananga's payroll and Bond and Solitare escape with the aid of a London double-decker bus but not before stumbling across poppiy fields. It transpires that Kananga is producing large quantities of heroin and is protecting the poppy fields by using the locals belief and fear of voodoo and the occult. Bond heads to New Orleans and is captured by Mr Big who is revealed to be Kananga in a very unconvincing mask. Kananga is distributing heroin under the guise of Mr Big. 007 escapes and is chased across the Louisina bayous in the famous speedboat sequence. He then heads back to rescue Solitare from San Monique and survives capture in Kananga's underground complex and a train fight with Kananga's henchman Tee Hee (he of the metal claw for a hand). "Just being disarming darling." In the closing scene of the film, the central voodoo character, Baron Samedi, is seen perched on the front of the speeding train laughing. Live and Let Die was something of a reboot for the series. It was decided not to saddle Moore with too many of the staples associated with Sean Connery and subsequently the film feels like a slightly strange entry. There is no Q and Bond does not order a martini or swan about in a tuxedo. The film seems less lavish than other entries and the world threatening super-villain is replaced by a more down to Earth baddie with far more modest and 'real' world aims. Live and Let Die was released during the height of the 1970s blaxploitation era and uses actors from this period with mixed results. Gloria Hendry is required to shriek a bit too much for my liking and some of the street jive black stereotypes seem very dated and dubious now but Julius Harris is suitably menacing as Tee Hee and Geoffrey Holder throws himself into his Baron Samedi role. Like Jaws, Clifton James as Sheriff J.W. Pepper is a character that you could only imagine appearing in the Roger Moore era. There are three major chase sequences in Live and Let Die and they are all great fun although the boat and double-decker bus chase could have been more tightly edited. The airport scene is an amusing and typical Roger Moore era escapade and ends with a funny line delivered deadpan by 007. The action when it arrives does seem a bit stretched out and there are parts of the film that seem slightly incoherent and stilted but overall Live and Let Die is a hugely entertaining film that looks great on DVD. George Martin is one of the best of the non-Barry composers and he works the theme song into the film to good effect. Jane Seymour does well as the innocent Solitare and from first scene to last Roger Moore is never less than polished, likable and often very funny. His fight with Tee Hee at the end of the film never fails to make me smile. Worst bit? Kananga's death as any Bond fan will tell you! Best bit? Bond's escape from the crocodiles which is cool, unflappable and ingenious in the best tradition of the cinematic character. The fact that Live and Let Die was is something of a unique entry and tailored to introduce the new hip super space-age 1970's 007 (!) is a big part of the charm. It may not be vintage Bond but Live and Let Die is a lot of fun.